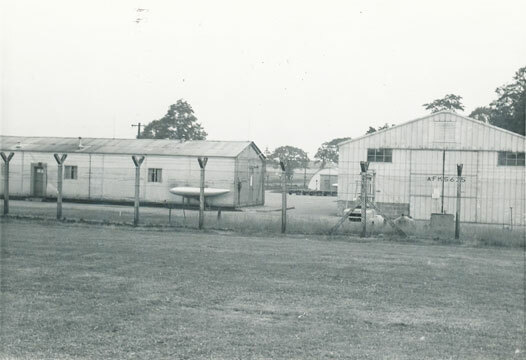 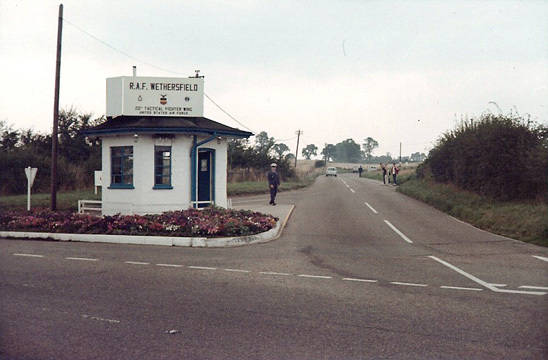 RAF Wethersfield front gate, 1 September 1967. 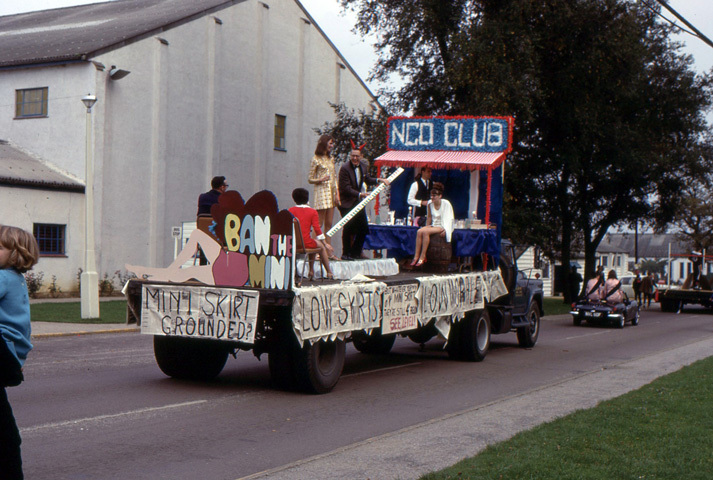 Photo submitted by Steve Linebarger. 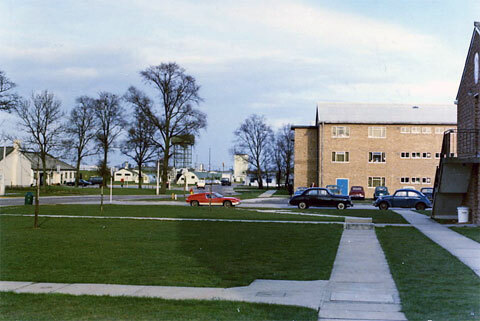 View from barracks looking towards ops. 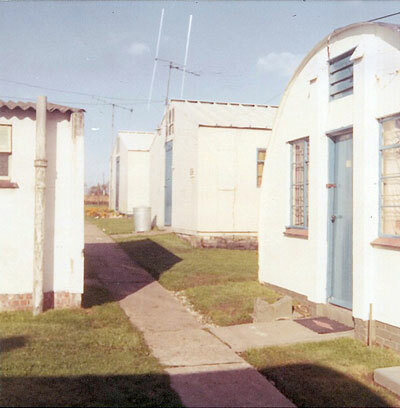 Base HQ on left. 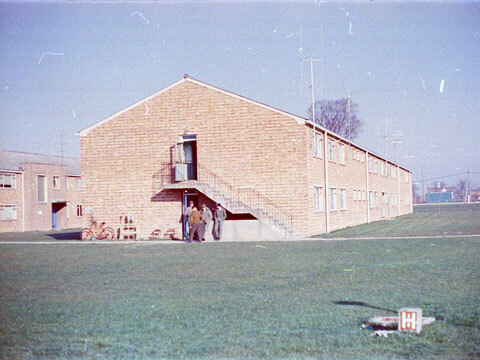 View of the Bowling Alley taken from the barracks. 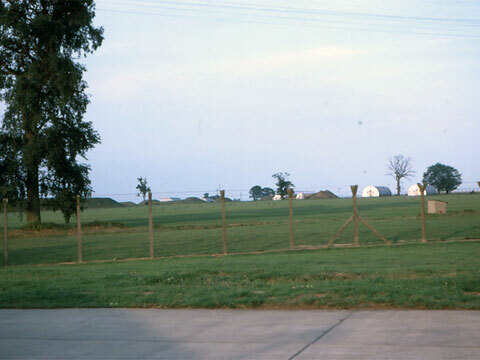 Quonset hut (Bill Woodward's home) in 1967. 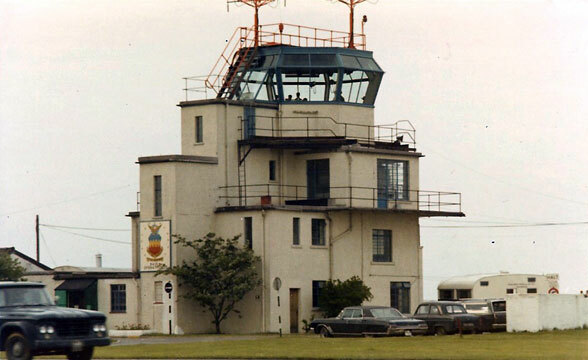 Control Tower photo taken during 1969 air show. 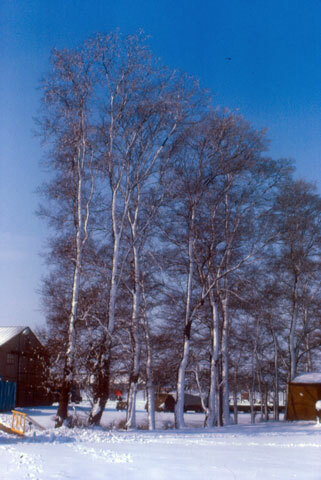 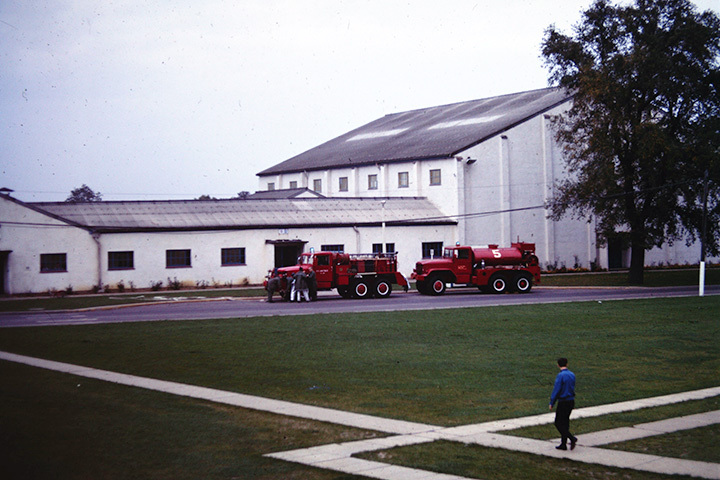 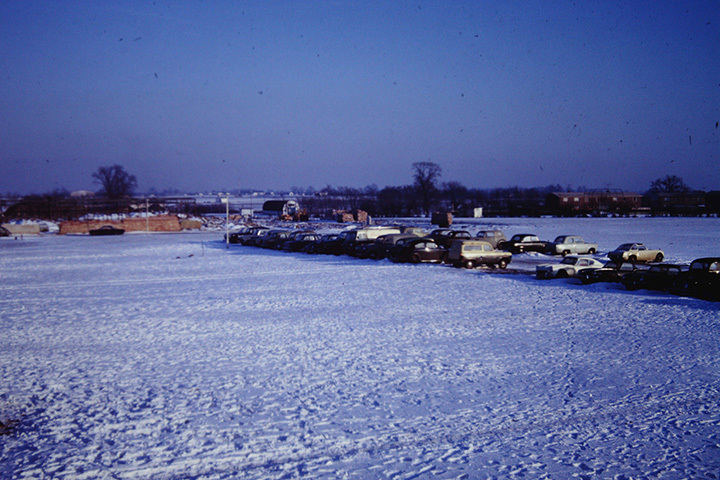 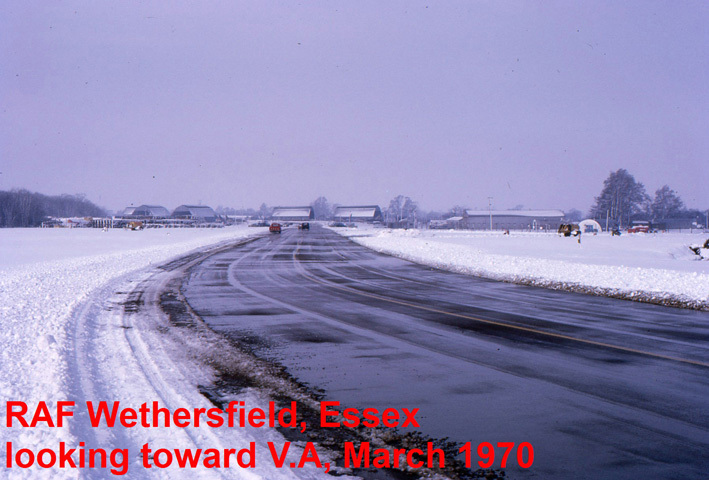 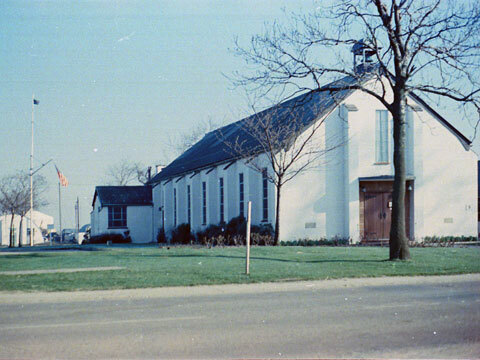 Photo looking back at base taken during 1968 Loadeo. 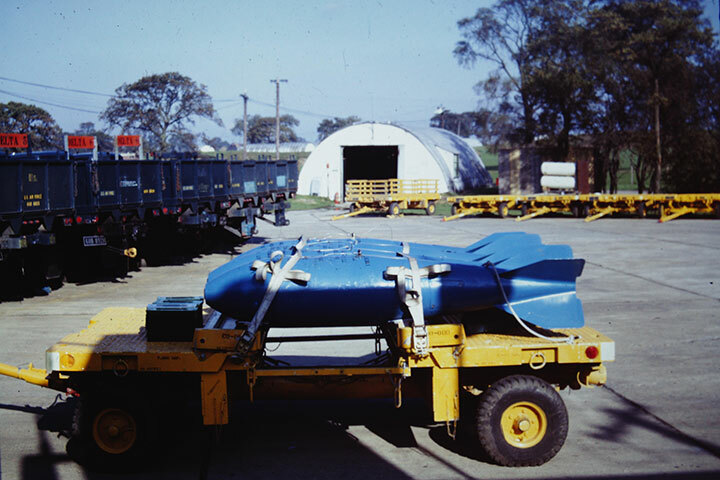 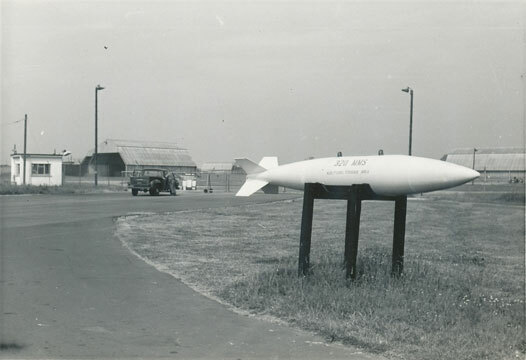 The old training bomb that served as our squadron sign. 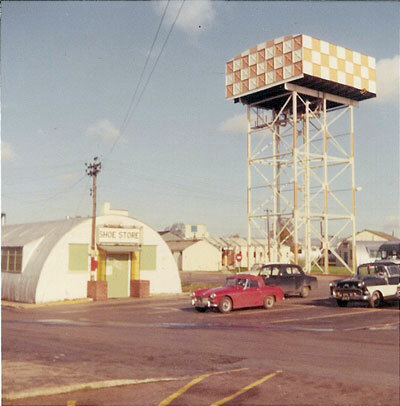 The alert area & Air Police kennel area in the background. 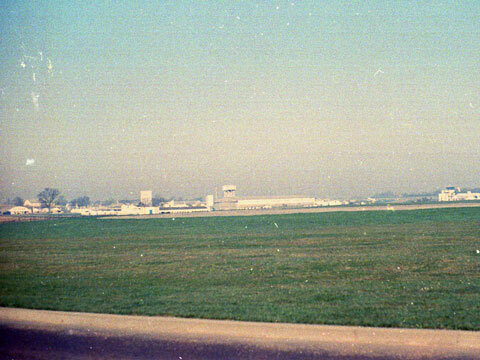 Bomb dump photo taken on the pad that was off the VA taxiway. 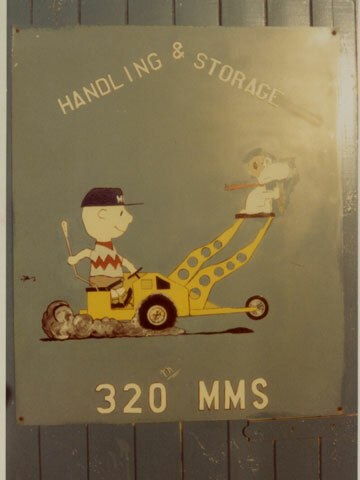 Charlie Brown and Snoopy, December 1967 on the Handling & Storage building. 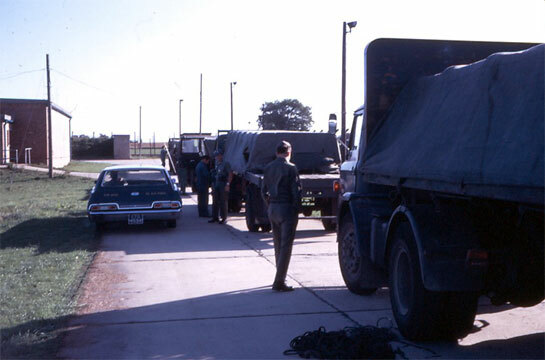 Aim-9B convoy in the special weapons storage area. 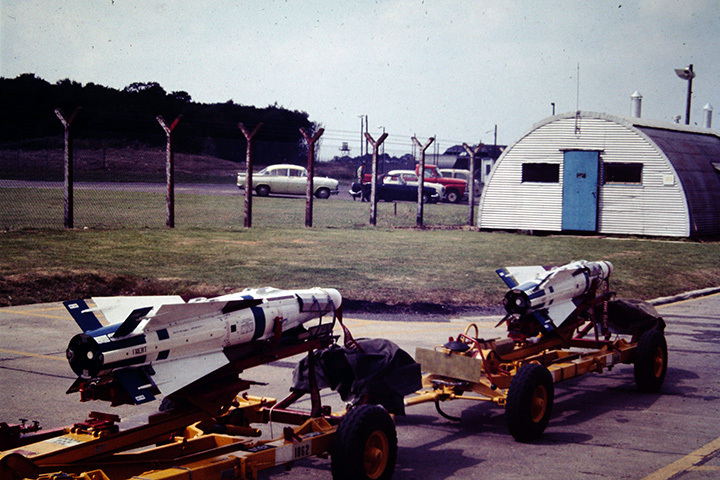 Robert Hambury in the background and Steve Linebarger in the background. 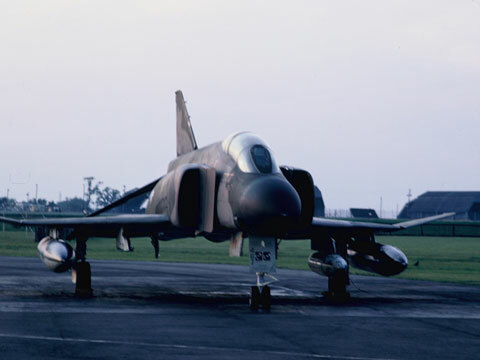 F-4 in the Alert area during the Loadeo in 1968. 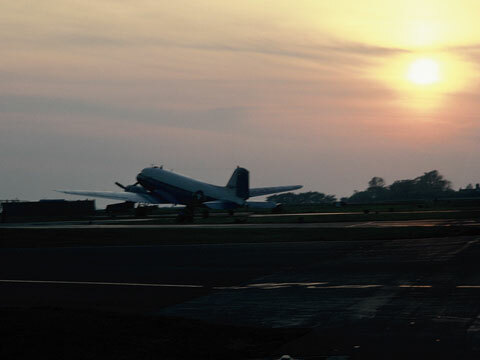 C-47 on flightline during 1968 Loadeo. 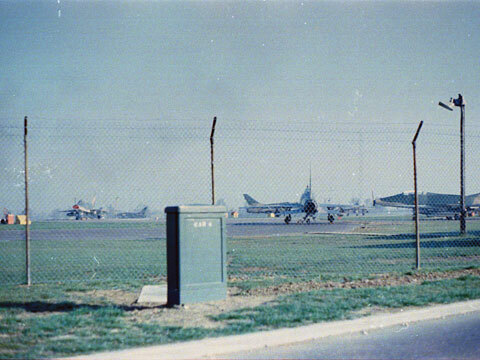 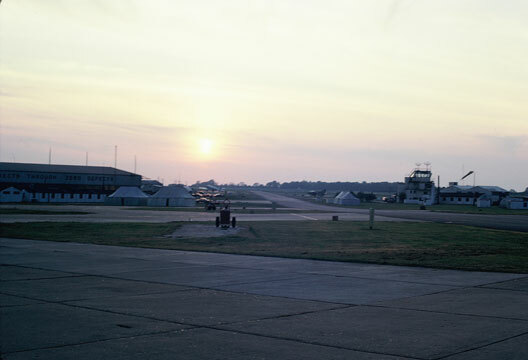 Flightline photo taken during 1968 Loadeo. 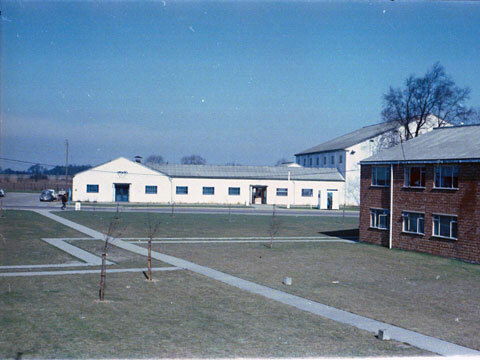 View from 'back door' of building 217, Conventional Maintenance. 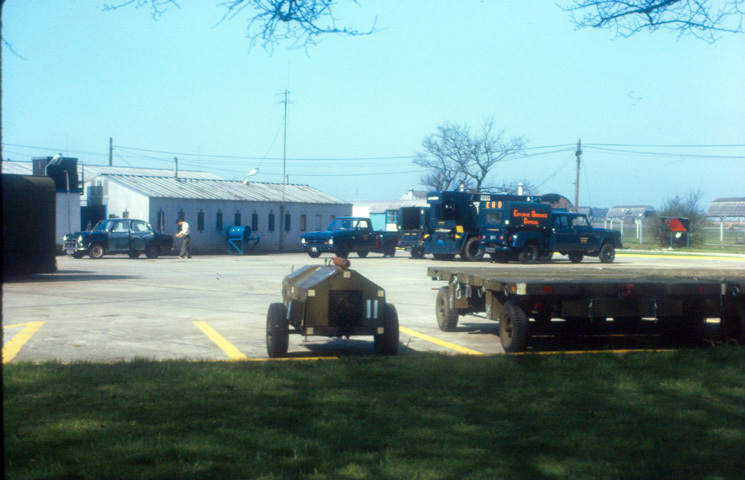 Bill Woodward in the 320MMS Parking Lot, May 1970. 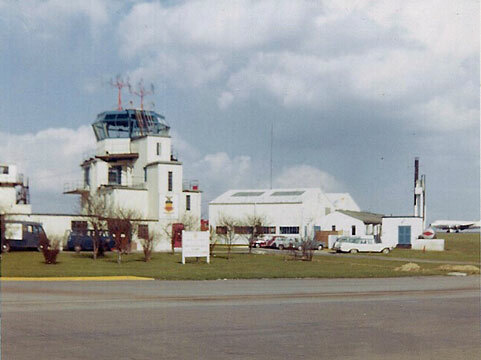 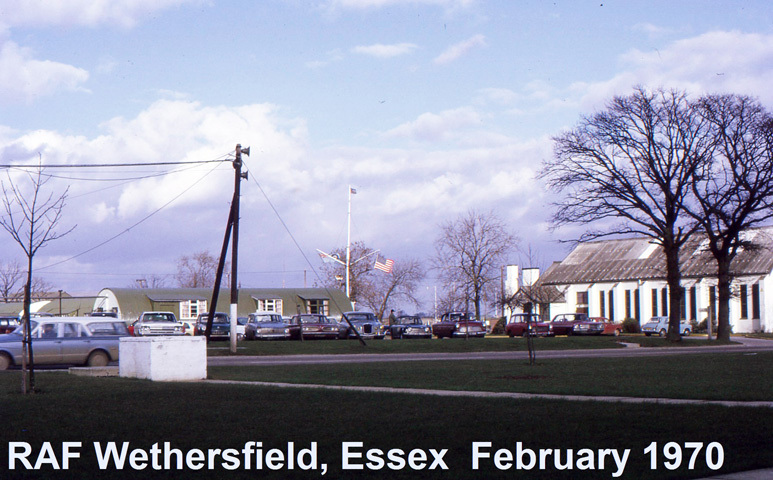 RAF Wethersfield Control Tower - May 1969. 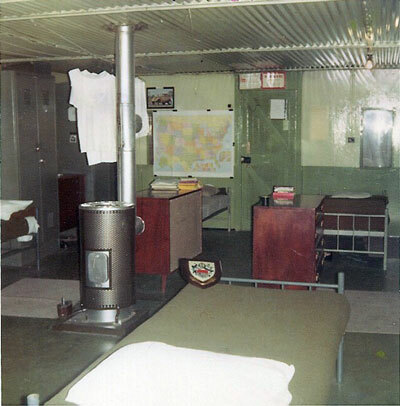 Bill Woodward's barracks room - 1968. 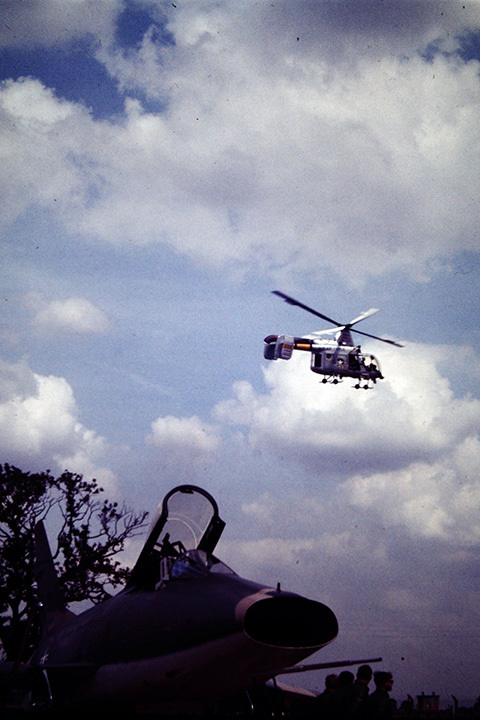 Photo submitted by Oscar Witherspoon. 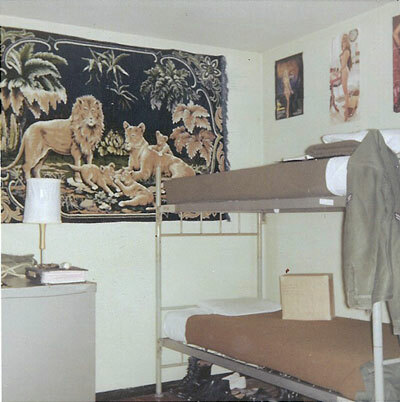 320 MMS area: Breakroom on left; equipment storage on right. 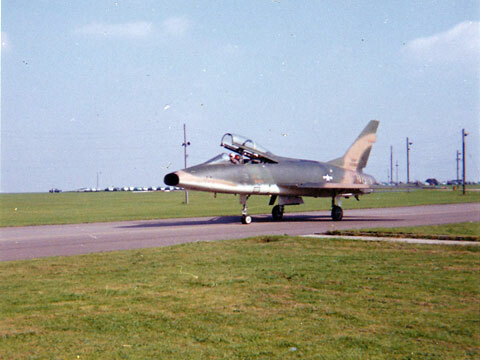 F-100 taxiing to runway (test hop flight).